To paraphrase Charles Dickens, 2016 was the worst of times, and the pretty good of times. It was a year of wonder (Game of Thrones) and disappointment (Walking Dead), amusement (Deadpool) and aggravation (Suicide Squad), delight (a few things) and loss (too many to count). Relive the year that was with io9's 100 most-read posts of the year, and then let us never speak of 2016 again. As everyone in the universe is aware by now, Stranger Things is amazing and well worth watching over and over. But maybe you need a break from #TeamBarb and the Demogorgon for a spell. There are some surprisingly awesome genre movies on Netflix right now, and we have some recommendations. According to the Associated Press, actor Anton Yelchin has died at the age of 27 in a car accident. The Killing Joke is a 30-year-old Batman graphic novel that goes to ugly places, especially in what it does Batgirl. And when folks expressed anger at Barbara Gordon’s portrayal in a new, controversial scene in the upcoming film adaptation during a DC panel, things got ugly in real life. Jar Jar Binks is the epicentre of so many people’s rage about the issues of the Star Wars prequels, or even Star Wars in general. But people often forget that under the CG alien was actor Ahmed Best—and he’s spent over a decade having to deal with Jar Jar’s reputation. Almost two weeks since the release of the latest Star Wars film, Rogue One, but much of the talk surrounding the movie is about characters from 40 years ago. Now, in an interview with The New York Times, several of Rogue One’s most prominent contributors have given their accounts of the film’s controversial decisions. Thirty seconds into watching this video, my face already hurt from smiling too much. We pretty much loved Star Wars: The Force Awakens. The things this movie got right were so much more important than the things it got wrong. That said, it did get some things wrong. Allow us to elaborate. If there’s one thing that rankles about The Force Awakens, it’s that a lot of its world-building is left to the array of tie-in media that launched with the movie on December 18th. It’s a bummer that there are so many questions left unanswered, but we’ve combed through all these books for all the most important details about this new look at the Star Wars galaxy. It’s a holiday weekend, which probably means you have some down time. What better activity, while you’re digesting that leftover Turkey, than catching up on some of 2016's best scifi and fantasy films ? Suicide Squad is a weird movie, and not just because it’s about a motley crew of supervillains set in the DC universe. The movie itself is also a motley amalgamation—a strange blend of different tones, stories, and pacing all mashed into something that has cool individual elements, but never really comes together. All this week, J.K. Rowling has been publishing History of Magic in North America, one part a day for four days. When it’s been at its best, it’s been sloppy; when its not at its best—which is most of the time—it’s uninformed and under-researched. At its worst, it is downright offensive, and here’s why. The early reviews are in—and many are lambasting Suicide Squad for being a tonal mess. 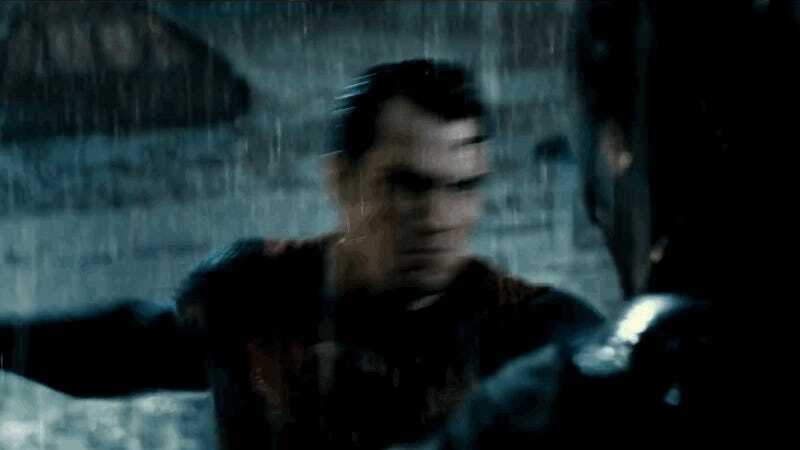 A new report released by The Hollywood Reporter today claims to have the answer as to how that came about, and it apparently has a lot to do with audiences’ less-than-stellar reaction to Batman v Superman.—and WB’s worried reaction to that. Hey, ha ha, remember how the last few episodes of Game of Thrones have seemed to be a bit… low-key? Uh, well, now we know the reason why: It was spending all its time (and manpower, and probably a sizable portion of season six’s budget) on creating what is possibly the most incredible battle that has ever been seen on TV. Rogue One is billed as a standalone Star Wars movie, but it’s far more entrenched in the story of the saga than many of us had thought. That’s not just in terms of its setting, though—it’s because it’s jam-packed with references and hints to the Star Wars stories that came before it. Here are all the major ones we spotted. Forget Days of Future Past. Sending Wolverine’s consciousness back to the 1970s may have erased the calamity of X3: X-Men United, but that’s small potatoes compared to how Deadpool may have altered the trajectory of the future of Fox’s X-Men movie universe—and a lot of other superhero movies, too. The Walking Dead had a major obstacle to overcome in last night’s season seven premiere. After leading up all of season six to the arrival of Negan and the promise of a main character’s death, the show decided to postpone the reveal of who died to season seven. Could the show possibly live up to its own hype and expectations? Short answer: No. How could it? On Friday, Carrie Fisher suffered from a “cardiac episode” while on a United flight from London to Los Angeles, emergency officials said. The 60-year-old actress is in “critical condition,” reports the LA Times. Despite the abundance of Batman v Superman’s negative reviews and the film’s swift, severe drop in box office sales since its debut a week and a half ago (even with an utter lack of competition! ), Warner Bros. executives seem adamant in learning absolutely nothing from the movie’s problems. It’s All-New, All-Different Marvel! It’s the All-New, All-Different adventures of Steve Rogers, back in action today as Captain America! And Steve has an All-New, All-Different gimmick to his history that will change the Marvel Universe forever... if by forever you mean a few months or so, although you wouldn’t know it by the way everyone is freaking out. The rumors have swirled for a while now. Various people who have worked on the show have dropped hints. But now David Benioff and D.B. Weiss, Game of Thrones’ showrunners, have officially, irrevocably confirmed that we only have 15 episodes of the show left... at most. Probably less. Ladies and gentlemen, our global nightmare is over. After months—nearly five of them in fact—of waiting, Marvel’s one-shot comic, revealing just why C-3PO has a red arm for most of The Force Awakens, is finally here. As bizarre as it may sound at first, the final product isn’t half bad. Just... just stop right now if you haven’t seen tonight’s episode of Game of Thrones. Everyone else, let’s talk about what just happened. Ever wonder how there could only be about 18 Gryffindors in Harry’s Hogwarts class and that J.K. Rowling has said there were 1,000 students at the school? Well, a fan theory has an answer... a depressing, depressing answer. Jon Snow is angry. Cersei is angry. Daenerys is furious, although she’s being regal as hell about it. In fact, it seems like most of the characters on “Oathbreaker” are angry, because they’re fed up with the rules they’re forced to live within. Add to that another immensely satisfying peek into Game of Thrones’ past, courtesy of Bran, and you have another fantastic episode in a season that promises to be full of them. Three years ago, Superman got his own Christopher Nolan-influenced movie reboot, full of brooding portents and Kryptonian politics. Man of Steel was a pretty good movie, albeit one with serious flaws. Now the sequel is out, and it deals with a lot of the same ideas and themes. And fumbles them completely. Given its massive box office, you likely saw Batman v Superman: Dawn of Justice this weekend. And whether you loved it or hated it, chances are you had some questions about the portion of the movie you managed to stay awake for. As always, our patented Spoiler FAQ has the answers you seek! The day the door of the Millennium Falcon fell on Harrison Ford, shattering his ankle, everyone thought Star Wars: The Force Awakens was doomed. But it turns out, the opposite happened. Co-writer and director J.J. Abrams recently revealed this delay helped him refocus the film’s most important relationship: Finn and Rey. Winter Storm Jonas pretty much has the East Coast stuck inside this weekend, which means that you’re probably sitting in front of your television scrolling through Netflix. Allow us to help. When star Lauren Cohen talked to EW about filming the season six Walking Dead finale, she said that “it took a really, really long time for everybody to feel okay again.” After watching the episode, it may be a long time before I feel okay again, too—but I bet it’s for completely different reasons. Spoilers, obviously. Kylo Ren has a lot of... anger issues in The Force Awakens. But even then, his path to the Dark Side in the movie was tinged with the hope that he could resolve the conflict within him. But apparently, it seems like Kylo was much further along that path than anyone realized. Spoilers ahead, if you’ve yet to watch The Force Awakens. American Psycho author Bret Easton Ellis is sitting at dinner with some movie executives. They say they know some other executives working on Ben Affleck’s upcoming Batman movie. And they tell Ellis something that should chill the heart of not just superhero fans, but fans of movies, period. WTF Was X-Men: Apocalypse’s End Credits Scene All About? No matter what you thought of X-Men: Apocalypse, odds are you sat through the credits to see if there was some kind of tease. And there was. And it’s a weird one, unless you are well-versed in comic books. So if you didn’t understand the implications, we’re here to help! Unlike pretty much everything else, science fiction and fantasy had a great 2016. There were so many great shows that we had a lot of contenders for our best list, and only a few for our worst, so we ended up with twice as many TV series to acclaim as disparage. After a fair amount of debate, here’s the best of the best and worst of the meh. It’s taken six seasons, but Ned Stark has finally been proven right: Winter has come, and with it, the beginning of the end of Game of Thrones. As such, the show needed to start paring down its various storylines and plot threads, which it did last night with brutal efficiency. For those few players that remain, the time for games is over. Marvel screened Captain America: Civil War for critics, giving us our first look at the next installment of the MCU. The results? Wildly positive. Rogue One might be the first standalone film in the Star Wars universe, but that doesn’t mean it’s detached from the original saga. In fact, director Gareth Edwards went to great lengths to ensure continuity between Rogue One and A New Hope, including adding previously unseen Star Wars footage to push one scene even further into the canon. Marvel may have brought together all their best superheroes in The Avengers, but DC is bringing together their very own team of super villains in Suicide Squad. Hitting theaters in August, the dark comic book adaptation just released a crazy new trailer. Galaxy Quest could have been a forgettable Star Trek spoof—but instead, it’s become a beloved science fiction comedy, which has been voted one of the best Star Trek movies of all time. How did this miracle happen? Here’s everything you ever wanted to know about the making of Galaxy Quest. Deadpool is a comic book movie that was a passion project for everyone involved. This meant making a superhero movie on a very small budget—and one slashed at the last second at that. A bunch of characters and scenes got the ax for budgetary reasons, but know we know everything that almost made it into the movie. And I mean EVERYTHING. Tonight’s season six finale may have contained more major developments than the previous nine episodes combined, and it’s been a pretty damned exciting season! Let’s discuss. The Matrix Trilogy is driven by the mystery of whether Neo, the film’s protagonist, is actually the savior of mankind. But here’s a crazy theory: What if Neo’s arch nemesis, Agent Smith, was actually “The One” this entire time. Mace Windu, a.k.a. Samuel L. Jackson, appeared on ABC to talk about his new movie The Hateful Eight and drop some serious shade on the The Force Awakens. With just over a month and a half to go, we finally have it—our first proper look at Game of Thrones’ sixth season. Without the books to guide us, we don’t really know what’s going to happen (or, we’re not supposed to). But we can still break down a lot of what we can see in this new trailer. Care to join us? Rogue One made box office history on its opening weekend, bringing around $155 million in North America and another $135.5 million overseas, making it the top movie globally and the second highest grossing December opening in North America on record. It seems the right-wingers’ #DumpStarWars movement—a boycott of Rogue One, which prominent conservative conspiracy theorist Mark Dice called “feminist propaganda” in a now-deleted tweet—didn’t work out too great. Well, that was fast. If you were irriated by the aggravating non-reveal served by The Walking Dead this past Sunday—like most of the planet—good news! A careful analysis of the audio of the death scene may reveal exactly who died. Spoilers! Maybe! It’s here—your next major look at Marvel’s big superheroic dust up, Civil War. You’d think someone would be pleased, but no, Teams Cap and Iron Man are far too busy being glum at the thought of fighting each other for what they believe in. Oh, and a certain friendly neighborhood arachnid, of course. We’re living in a goddamn Golden Age of television. But there’s also way too much TV to keep track of, and a few shows get the lion’s share of attention. So here’s our list of 16 recent TV shows that haven’t gotten their props. Time to start binge-watching! Deadline is reporting that Deadpool director Tim Miller is leaving the sequel over a series of creative differences with star Ryan Reynolds. Variety confirmed the news with its own source. Miller hadn’t signed a formal deal for the next film in Fox’s franchise, based on the Marvel comic, but he was reportedly working on the script and getting things moving for the planned 2018 release. Here’s something twisted that will absolutely blow your goddamn mind: Suicide Squad, a very bad movie, set an August box office record on its opening weekend, raking in a hot $135.1 million in North American ticket sales, which is more than Guardians of the Galaxy, an actually good movie, brought in on its opening weekend in 2014. She’s finally here. After years of false starts, a live-action Wonder Woman movie is coming next summer. Warner Bros. just revealed the first trailer at San Diego Comic-Con to the uproarious excitement of the Hall H crowd, and it. is. perfect. Now that Deadpool has become a monster hit, there are a billion articles about how ground-breaking this R-rated, raunchy, fourth-wall-smashing superhero movie really is. And no mistake, Deadpool is hilarious. But there’s one film, starring an insane hero in a red suit, that never gets enough credit for how far it pushed the superhero genre: Super, written and directed by James Gunn. After last week’s harrowing episode, you can’t blame “Blood of My Blood” for wanting—needing, even—to take a step back. The flip side is that “Blood of My Blood” is a bit of a letdown. Steven Universe storyboard artist Lauren Zuke has left Twitter and deleted her account after days of harassment from an aggressive subsection of Steven Universe fans. After decades of waiting for a new Ghostbusters movie, here’s your first footage from one. To celebrate the launch of this awesome trailer, we talked with director Paul Feig, producer Ivan Reitman and writer Katie Dippold, and they told us why this trailer reintroduces so many of the things we love. There are a few big mysteries in The Force Awakens. We’ve discussed one already (the identity of the First Order’s Supreme Leader Snoke) so now it’s time to discuss an even more pressing question: Who are Rey’s parents? The internet has some ideas—lots of ideas, each crazier than the last. Here are two dozen possibilities for Rey’s father, mother, ancestor, or even her creator that someone, somewhere, earnestly believes. While out on publicity for his latest movie, The Knight of Cups, Christian Bale has expressed some second thoughts about his portrayal of Bruce Wayne/Batman for Christopher Nolan’s Dark Knight trilogy. The biggest comedic moment in The Angry Birds Movie happens when two characters find out the giant lake they’ve been swimming in is a massive pool of Mighty Eagle’s urine. They were spitting the water in each other’s mouths before that. Surely, The Angry Birds Movie only exists because of deep-seated insecurity. Did you think that all we were getting out of Guardians of the Galaxy Vol. 2 today was a shiny new poster? Well, you’d be wrong. And now it’s time to get hooked on a feeling all over again. The zillions of tie-in stories for The Force Awakens revealed there was going to be a scene in the movie where Leia acknowledged that her former colleagues in the Senate were just as likely to want to have her killed as they were to ignore her. A new Star Wars novel is going to explore why that’s the case, and why Leia had good reason to be wary. It won’t be long before Rogue One: A Star Wars Story officially hits theaters, which means it’s just about time for another onslaught of Star Wars merchandise. Most of it is stuff you’ve seen before—toys, figures, re-re-releases of previous films—but an R2-D2 coffee press? That’ll get us to perk up and pay attention, and not because of all that caffeine. Game of Thrones is a show where audiences always need to expect the unexpected. But sometimes, when you’re expecting something crazy to happen, that means the show will surprise you by not doing anything crazy at all. And that’s what last night’s episode was: Not crazy in the slightest. 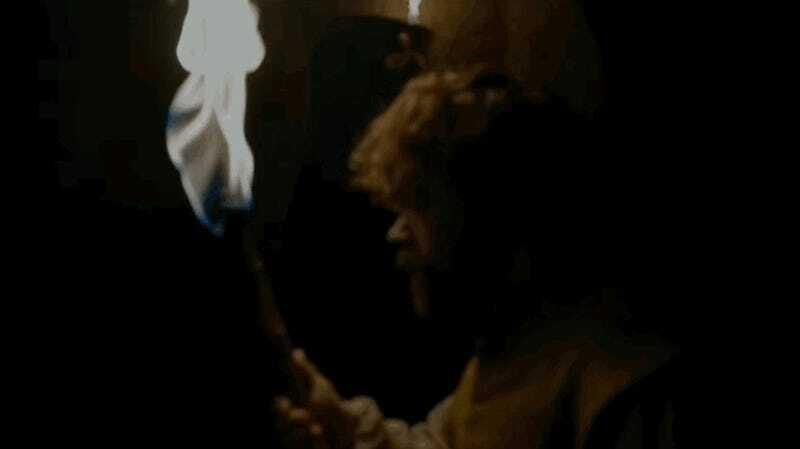 Of course, “not crazy” on Game of Thrones still means two people get brutally decapitated, minimum. Two episodes in and it’s already been a good year for the good guys on Game of Thrones. Sansa finally met up with Brienne. Tyrion made some dragon friends. And, well, something happened with that Snow guy, too. Now, Arya Stark has confirmed some more good news. 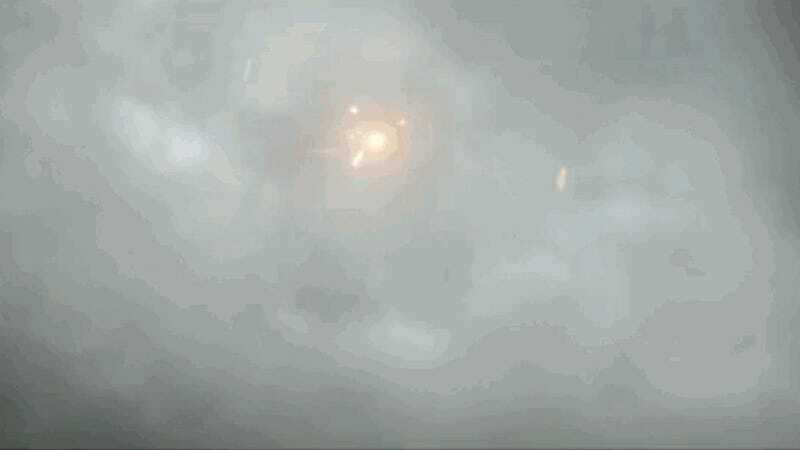 Arrival is the kind of science fiction film we dream of. It’s got big stars, a bigger concept, and the longer it goes, the more it demands of its audience. The pacing is methodical, the story captivating, and filmmaking beautiful. You rarely have a clue where it’s going—but once it gets there, you won’t be able to get it out of your head. Back in June, I wrote about the weird, horrible things that had happened during the filming of Suicide Squad, mostly due to star Jared Leto and director David Ayer being weirdos. I was certain that I had chronicled all of the madness that was inflicted upon the cast. But I was wrong. So, so wrong. Ororo Munroe would never get caught looking this tacky. Marvel’s released the latest teaser trailer for Guardians of the Galaxy Vol. 2, and it’s got so much Baby Groot, it’s almost too cute to handle. When a studio decides to release a scifi movie during Christmas, they think it has both commercial and awards potential. Both certainly seem possible for Passengers, starring Chris Pratt and Jennifer Lawrence. Sony Pictures debuted the first footage from the film at CinemaCon, and it looks amazing. The final act of Deadpool may have left out a ton of superhero stuff that proved too expensive—but there was one ginormous Marvel Universe easter egg that made it in. And we’ve got some concept art for it, exclusively at io9. Spoilers ahead, maybe? Actually, he was hidden in plain sight. But his appearance could signify another major element of the books finally making its way to the show. I just want to love you, Harry Potter universe. So, in my mind, I have to believe this story about the four houses of Ilvermorny, the American wizarding school we’ll be seeing soon in the Fantastic Beasts and Where to Find Them spin-off movies, isn’t true. Because, if it is, wow did America screw up its magic school. Are we still putting up spoiler warnings for The Force Awakens? I don’t think we should have to, but out of an abundance of caution, let me say this: There are spoilers for that film below this paragraph. Click at your own risk. Let’s begin with some much-deserved kudos: Fan-o-rama, this fan-made Futurama flick, is just mind-boggling in its accuracy. The newly released trailer does its level best to capture the unusual characters, locations, and pastel palette of Matt Groening’s beloved show. Even the show’s character designs have been brought to life... and that’s the problem.